It really gives me great pleasure to come here to witness the launching of the Belt and Road Global Forum. Some of you may know I literally arrived in Hong Kong in the early hours of this morning. So to be able to catch this very meaningful event is a really great pleasure for me. During my almost two weeks' travel in Europe covering Brussels and several cities in France, this Belt and Road Initiative popped up very often, whether amongst very senior government officials, especially in France, because when President Macron visited Beijing earlier this year, he came back and announced that France would like to take a leading role in the Belt and Road Initiative, and hence, the Prime Minister of France was in China only a few days ago. 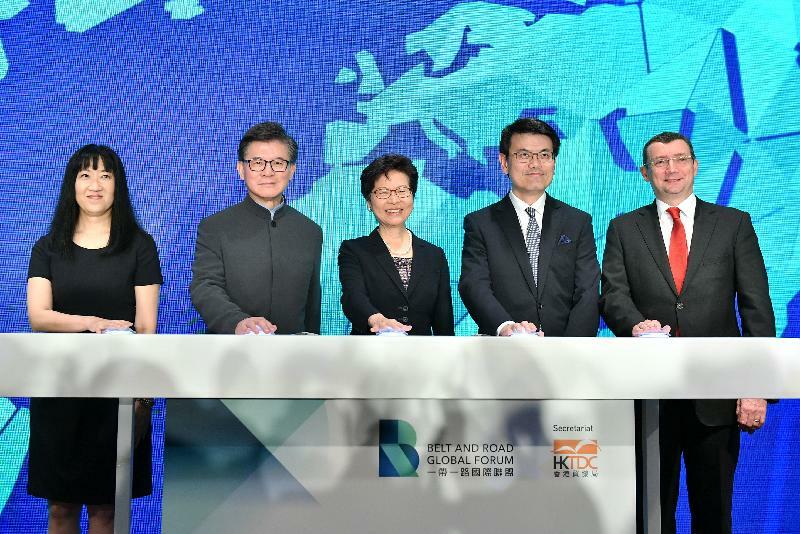 This picking up of momentum on the Belt and Road almost five years after President Xi Jinping announced the Initiative is to be very much welcomed, and of course welcomed by Hong Kong because the Central Government has made it very clear that Hong Kong will have a major role to play in the Belt and Road, and also to contribute to make the Belt and Road a success. That's the objective of our signing an arrangement, very exceptionally, with the National Development and Reform Commission last December. I just want to say that our work in Belt and Road has been picking up momentum and I'm very pleased with the achievements following the signing of the arrangement last December. The inaugural meeting for us to meet with relevant authorities and agencies in the Central Government spearheaded by the National Development and Reform Commission took place earlier this month. This is a very important forum for us to have first-hand information about the Belt and Road, including things which are of great interest to many of you - the projects, the policies, the financing and so on. In this particular forum, we are extremely pleased, being the third one in a row, we have attracted over 5 000 participants. 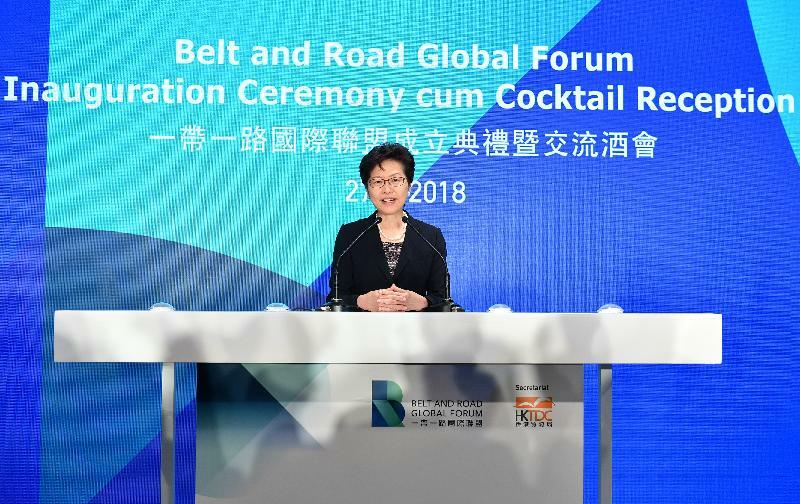 And this forum has now been given added meaning and strength with the formation of the Belt and Road Global Forum, which has within a very short period, not only set up but attracted some 111 member associations from 29 countries. I have to congratulate and commend the Trade Development Council, in its usual can-do spirit and efficiency, for getting this global forum up and running and I'd love to meet with you in future occasions to talk about our joint efforts in the Belt and Road. Meanwhile, enjoy this reception and the full day of programme tomorrow at the third Belt and Road Summit.